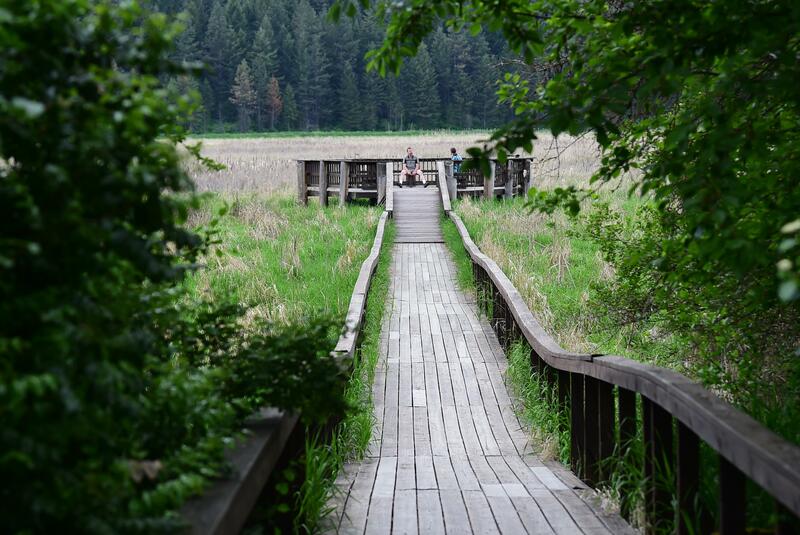 Spokane County Commissioners approved a master plan for the Liberty Lake Regional Park that includes more than $12 million in campground upgrades. The master plan – which guides park development over the next 10 to 20 years – was approved unanimously by Spokane County Commissioners Mary Kuney and Josh Kerns on a 2-to-0 vote at a commissioner meeting Tuesday. Spokane County Commissioner Al French was absent from the meeting. The plan will be developed in four phases and includes improvements to the main parking lot with the installation of an environmental learning center and park headquarters as well as addition of a nature playground, pedestrian bridges and a boardwalk with an observation platform. The current RV and tent camping areas will be redesigned and expanded in addition to improvements to the equestrian trail head and trail system with connections to Mica Peak and Spokane County Conservation Futures properties. The Spokane County Parks, Recreation and Golf Department received a $50,000 anonymous donation to fund development of the new master plan for the Liberty Lake Regional Park, which hasn’t been upgraded since 1972. An increase in park visitors and aging infrastructure also prompted the county parks department to develop the master plan. Park improvements will be paid through federal and state grants as well as Spokane County real estate excise taxes. The parks department gathered community input for the proposed upgrades over the past year through workshop, pop-up studio and open house events.